Following up one of the most refreshing pieces of violent cinema I've seen in years - a little ditty known as The Aggression Scale - with a remake of an infamous '80s horror film is a bold move - but it's the move director Steven C. Miller made in 2012. His project? 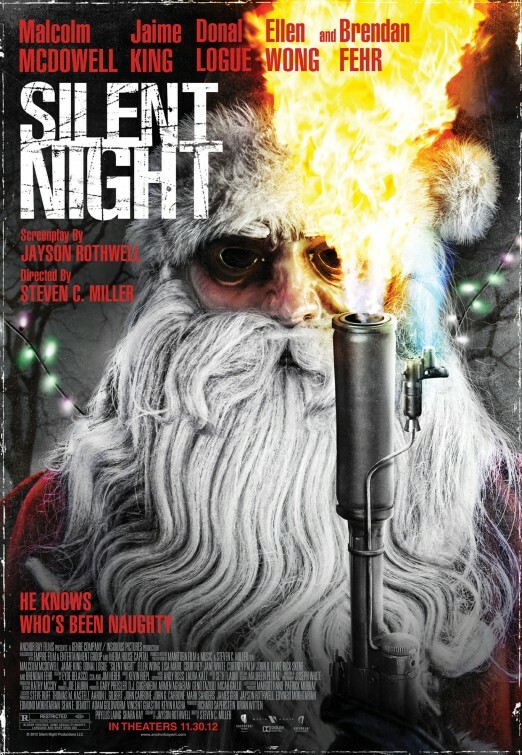 Silent Night, a souped up remake of the controversial 1984 slasher Silent Night, Deadly Night that offers a new twist on the killer Santa formula. Malcolm McDowell and Jamie King, both very recognizable to fans of horror remakes (if that kind of person exists, I guess), star as police officers in a small Wisconsin town who are tasked with tracking down a killer in a Santa costume. Like the real Santa, this one is making a list of people who've been naughty, but his means of dealing with them is a little more brutal than the other guy. He's a little more brutal than we were used to in the '80s, too. This version of Silent Night has to keep up with the expectations for horror violence in a post-Saw world, which means our killer has plenty of tools at his arsenal. You won't see the typical slasher kills here, as things like exploding Christmas lights and flamethrowers and woodchippers all come in to play. The film is vicious in its killings, and those who enter the film just wanting to see a series of inventive kills by Saint Nick won't be disappointed. It's not all splatter, as Miller and writer Jayson Rothwell manage to make the film feel more like the original versions of Halloween or Black Christmas - at least in the plot department. The interactions between the members of the police force - primarily McDowell's comical Captain and King's practical everywoman - break up the action quite nicely, as do side performances from potential victims like Courtney-Jane White as the mayor's uninhibited daughter and Donal Logue as a foul-mouthed Santa impersonator. The story never gets too deep - it's a killer Santa film, and it doesn't lose sight of that - but it's competent enough that it feels like more than an excuse to make Santa off some good looking women in various states of dress. Miller's direction is also a great asset to the film, as this film - much like The Aggression Scale earlier this year - manages to make the stalk-and-kill sequences feel like something out of a high energy action film. The film's final showdown between killer and cops is vivid and eye-catching as different colors of lighting are used throughout the sequence, and the director's eye often teams with an incredibly effective musical score by Kevin Riepl to set the mood wonderfully for the fast-paced sequences of violence throughout the film. Silent Night is very well made and incredibly watchable, even it never becomes anything more than a flashy popcorn slasher film. Indeed, Silent Night's biggest failure might be that it doesn't feel as raw and edgy as its brethren from the 1980s did, and I'm sure some fans of that brand of slasher will be a bit disappointed with this film because it doesn't do the "old-school" grindhouse thing. 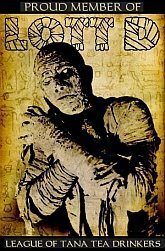 I don't think this is as big of a deal as some will make it out to be - and the film is packed with references to the original series of films and definitely shows a love for its predecessors - but I did feel the film was almost too well-made to compare to the original film at times. Then again, not being compared to an artistically challenged slasher film from 1984 isn't always a bad thing. Silent Night does enough things right to be worth watching on its own merit. It exists somewhere in between the two extremes at which people love this type of film - it's not incredibly profound horror and it's not incredibly sleazy either - but it's a nice addition to the Christmas-based horror shelf and it feels like it'll be a fun film to pop in with friends over the holiday season. The bottom line is that Miller's film is well-made, has performances that work, and offers a lot of fun bloodshed - which is more than enough reason for me to file Silent Night under "Nice" when I look back at 2012. Malcolm McDowell is a bloody load of old rubbish simply because he is British (although i do of course respect his rampaging heterosexuality obviously).